The EwA staff has a wealth of personal, professional experience and questions from nature/wildlife travelers and volunteers. This guide shares with you our knowledge and is designed to help you gain awareness and simplify your journey preparation if you’re traveling. It ensures that you have all the basics covered. We hope that this will increase your satisfaction when you’re ‘over there’, whether at your local wildlife facility or in the boons in a far far away land, while pleasing your host and minimizing your environmental impact. A win-win situation for all! 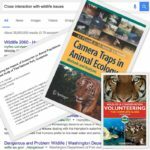 The EwA Nature Traveler & Volunteer Essentials† is a comprehensive guide to help you prepare for your nature travel journey, or your conservation volunteering mission. It focuses on your safety, and the safety of the people and wildlife around you. It also helps getting you ready mind, body and travel-logistically to this adventure of a lifetime. 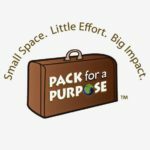 If your trip is a wildlife/outdoors eco-trip, then this topic is of no real interest for you–unless you are lucky enough to know people who want to sponsor your vacation!  ▹ You don’t need to pack books and load your bags with ‘paper’ weight – just enough that you can fall over these in case ‘all’ your devices fail you, which (thankfully) happens relatively rarely nowadays. It is never a good idea to completely disappear… Travel with a phone ☎. Tell people your whereabouts, and provide them with contact info.  ▹ Besides the organizations listed in the guide, we recommend that you peep at its extended bibliography, as well as browse our Explore and Prepare guides, and our Etiquettes.